Pinner Wood School might never reopen, the council has warned. A junior school is facing an uncertain future after a chalk mine was discovered beneath it. Geological surveys have found an “unacceptable risk” that the ground below the Pinner Wood School, in Pinner, north-west London, could become unstable, Harrow Council said. Pupils of the primary school have been told they will not be able to return to the site until further notice. But it is also possible they will never be able to return to their school. 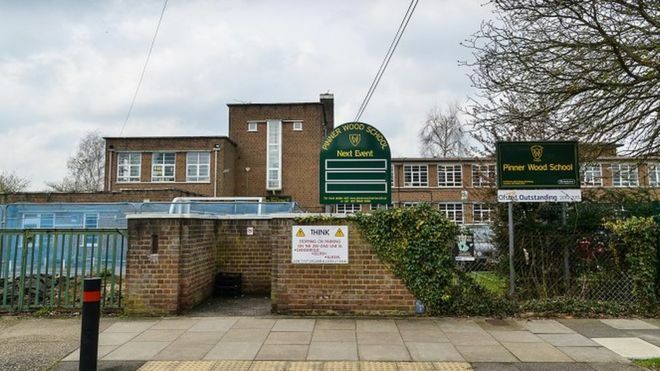 Harrow Council said classes would relocate to other educational settings for the summer term while more tests were carried out to assess the site’s condition and safety. The recently discovered chalk mines are likely to date from about 1800. Laser imaging of the previously uncharted and unknown tunnels reveal they stretch beneath the school buildings and that mine roofs have collapsed in certain places. But the surveys could take months and it is possible the ground underneath the school will be deemed so unsafe that the school can never reopen in its current location. The leader of Harrow Council, Sachin Shah, said: “With the evidence we have discovered in the past few days, we are certain that this is the right decision. Dr Clive Edmonds, partner at Peter Brett Associates, which carried out the geotechnical surveys, said it was likely that the mines dated from the early 1800s.